The Night Diver Specialty rating is a very popular rating, due to the variety it offers, you can see the same dive site that you saw during the day time, but now with different animals and in a different perspective because you do a night dive on the same site! The adventure, thrill and excitement of this specialty can be yours when you complete this Specialty course. You learn about night dive planning, equipment and navigation. You practice these on three night dives, plus introduce yourself to the whole new cast of critters that comes out after the sun goes down. 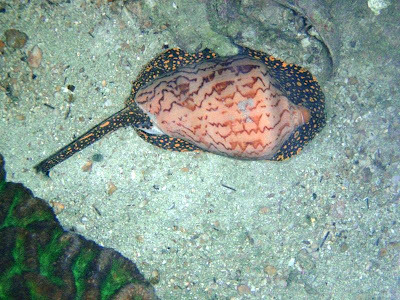 On Samui I conduct the Night dives on Chaweng Reef which has an amazing range of nocturnal night life and many things and animals I see during a Night dive I don't get to see at the dive sites we visit with our boats. Come and sign up for a Night dive this month and enjoy a different experience.